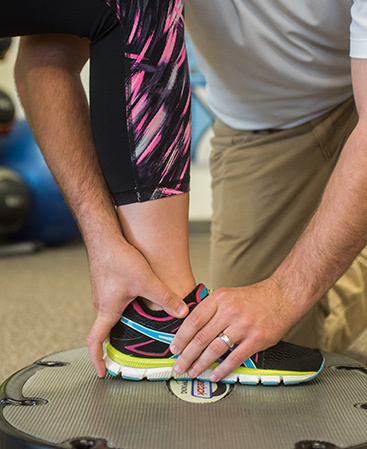 Our Saratoga Springs Region physical therapy specialists treat many common and uncommon foot and ankle ailments including: Plantar fasciitis, ankle sprains, foot pain from neuromas/bunions, foot pain from walking or running, heel/bone spurs, Achilles tendon problems/tears, tarsal tunnel syndrome, and claw/hammer toes. If you are experiencing foot pain, Saratoga Springs Area physical therapists at Capital Area PT & Wellness are ready to help! Contact us today!